Throughout the history of the haunting at Borley it was the rectory which obviously took centre stage. 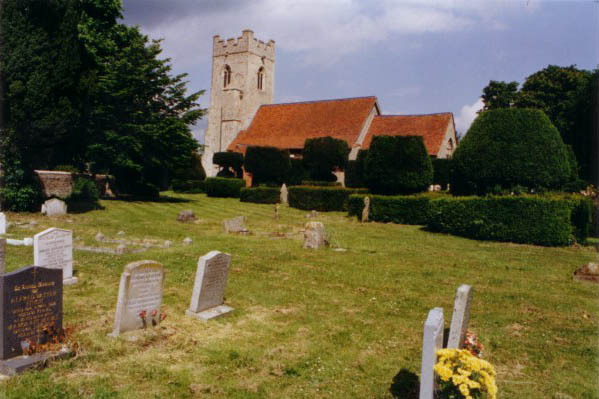 Yet the area around the village, the lane, the fields, the rectory garden and more importantly the church and churchyard have all been locations where paranormal phenomena have been reported over the years giving weight to the argument that not only was the Rectory the most haunted house in England, but Borley the most haunted village. The purpose of this two fold article is to list some of the phenomena which have occurred within and outside the church and also give the reader a brief description of how the building we see today came to be. 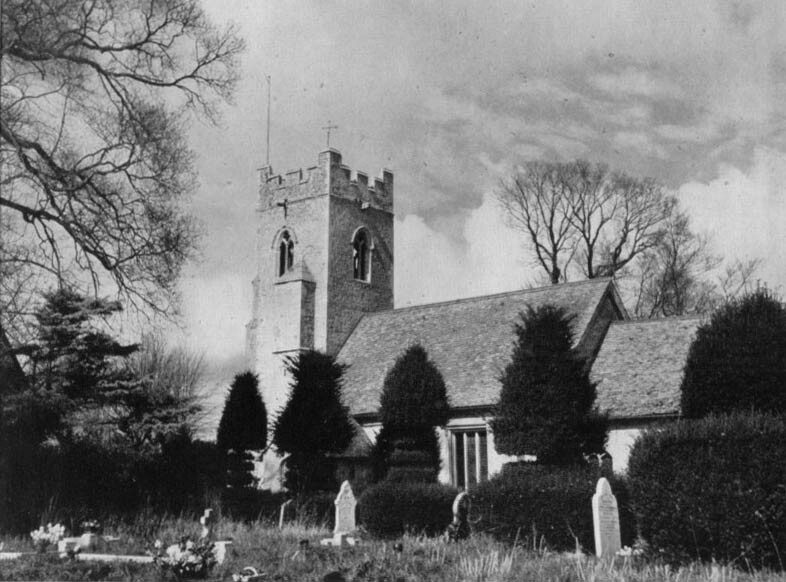 It is by no means a full account of the haunting of Borley church nor is it a complete listing of the buildings architectural and ecclesiastical history. But it is hoped it will give the newcomers who make the pilgrimage to the site of the most haunted house in England a better understanding of what they see ,and hopefully may experience. As always please respect the peace and privacy of the residents of Borley, tread softly. The name Borley is the modern spelling of the Anglo-Saxon "Barley", or "place of the pig". The "ley", Field, clearing or pasture where the "boar" are kept. A small wooden church would have stood here at the time of the Norman Conquest in 1066. No trace of that building remains. The structure we see today was begun in the late 12th century. A simple two cell church consisting of nave and chancel possibly in the transitional stage between Norman and early English architecture. The windows would have been small but deeply splayed on the inside to allow what little light they could in to the dim interior. There would have been no seating. The Borley peasants would have participated in the mass whilst standing on a straw-strewn earth floor. Perhaps the chancel would have been floored in stone. Those too weak or infirm would have sat at the wall where rudimentary stone slabs would have eased their burden. The service would have been spoken or sung in Latin. As the Borley faithful exited the church they would have said their farewells in old English or possibly an Essex dialect whilst far away in London the King and his court would have conversed in French. have greeted the humble Borley peasants as they entered the church, affirming that the patron saint of travellers had guided them safely to their place of worship. 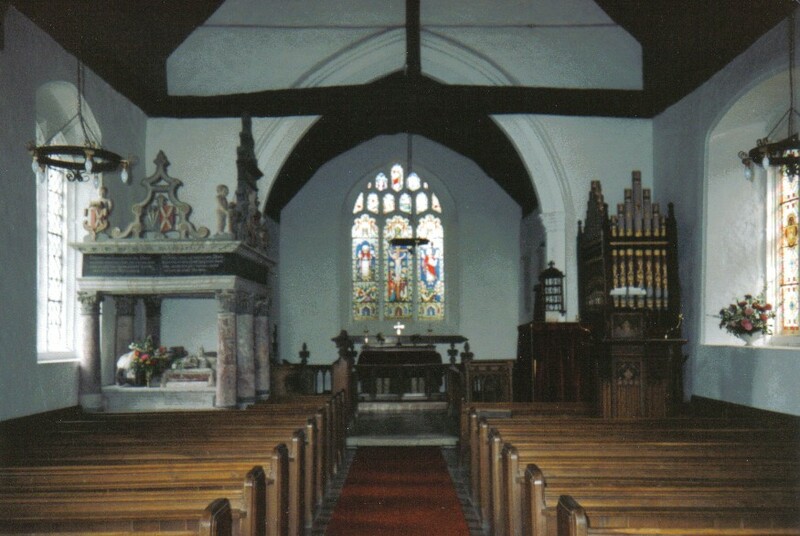 A wooden screen, gaily painted with portraits of Saints and cherubs would have divided the nave from the chancel. Above the screen stood the rood, a carved wooden statue of the crucified Christ flanked by St Mary and St John. The church may have had side altars or chapels where prayers were said for those with the wealth and prestige to be first in line for heaven. This description of the interior of Borley church may well have stayed the same for centuries to come but for a political and religious upheaval which would fundamentally affect not only Borley but every church in England. In 1534, Henry VIII's break with Rome and papal authority, later taken further by his son Edward VI, would drastically dictate how church interiors would appear for the next 300 years. Also at this time the dissolution of the monasteries, ostensibly a move by Henry to seize monastic wealth, would allow vast tracts of land to become available to an ever rising land owning gentry. A situation from where families like the Herringhams and the Bulls would later emerge to acquire the status and wealth to build their own rectories at Borley. But the break with Rome was fundamental. All symbols of superstitious popery were to be taken down. The rood, the rood screen, the stained glass, the murals, the altars, any last vestige of papal authority was to be destroyed. In time the arms of the monarch would hang above the chancel arch affirming that the King was now head of the church in England. Sir Edward Waldegrave, whose family were patrons of the living of Borley for nearly 300 years, paid with his life for refusing to take the oath of supremacy. His tomb dominates the north wall of the church and interestingly, for a man whose allegiance harked back to pre-Reformation times, its design shows a move away from medieval and gothic motifs as its canopy is supported by six Corinthian columns. An early indication that classical architecture would soon come to the fore in 17th and 18th century England's Age of Reason. Text from the Bible, the creed, the ten commandments and the Lord's Prayer would replace the murals. Any stained glass which had miraculously survived the great upheaval would have certainly not have made it through England's second political and religious schism, the Civil War of 1642-1651. East Anglia was a hotbed of Puritanism and any symbols of popery would not have been tolerated. In time the chancel was used less and less and a wooden table was brought forward into the nave to serve as an altar. The sermon would take precedence within the service. Sermons thundered from the pulpit were often long and tedious, too long for the Borley faithful to endure on hard benches on cold draughty days, so box pews were provided where the congregation could sit relatively comfortable and warm, if a little bored. And so it would remain for the next 250 years until the 19th century. Ever since the middle of the 18th century, the Industrial Revolution had taken the land workers away from the fields and farms and into increasingly over populated towns where slums quickly developed. The horror, grime and squalor of industrialised cities was not lost on bodies such as the Tractarian movement and the Camden Society or people such as Pugin, Keeble and Beresford-Hope who saw a need to return to Christian values and gothic architecture as a kind of medieval idyll. To be Christian was to be gothic. So began the gothic revival. Out went the box pews,the biblical text on the walls, and the idea that a church was just a preaching box. In came Victorian gothic pews, screens, stained glass, stone altars and psuedo-medieval floor tiles. 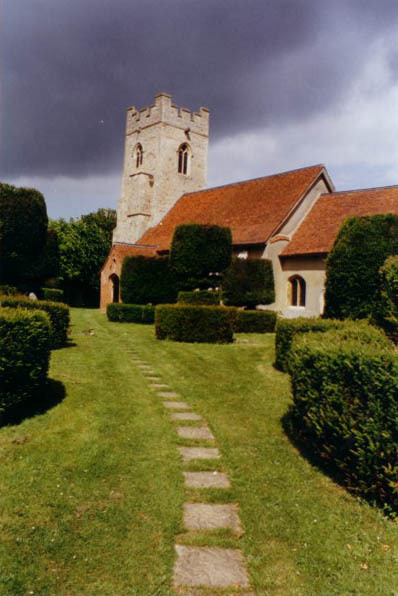 It was an attempt to return Borley church and many others in England to a picture of its medieval past. It was into this Victorian gothic interior that the Bulls entered when they took up their respective positions as rectors of Borley. The church in its medieval bones remained but its liturgical layout did not predate 1840. When Harry Bull died in 1927 after he and his father had held the living for 65 years, it was the end of an era for the clergy at Borley. Gone was the landowning rector/squire, to be replaced with a much more humble modern man of God. In 1936 the living of Borley was combined with that of Liston where the then rector, A.C Henning, would reside untill his death in 1955. Today the role of vicar of not just Borley but most rural parishes is much altered. The rector may well care for more than one church as population change and movement has deprived villages of their congregations, requiring that services be held only twice a month. 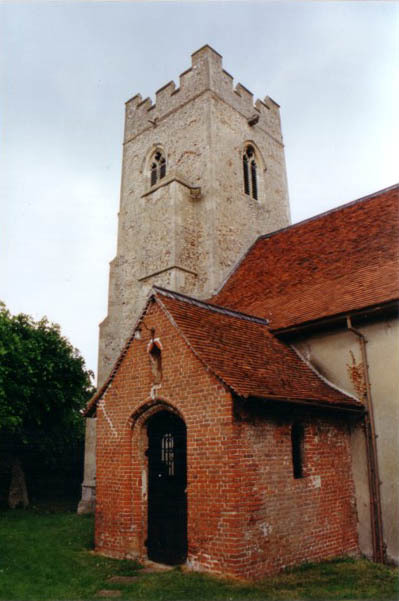 For most of the time Borley church remains locked. Yet we can see this as just another chapter in Borley's ever changing history. The many changes in architectural styles, political and religious upheaval, the Victorians' need to return to medieval roots and now the problems of modern social pressures have all left their mark on the church we see today. The future historian will take in the gothic windows,15th century tower, Tudor porch, the Victorian restoration, yet he will also notice that where, for centuries past, the grotesque faces of gargoyles have leered down from the tower, there is now a more modern eye which probes the graveyard and church. A closed circuit camera keeps watch at Borley now to keep an eye on those who cause trouble in their thrill seeking desire to see "The Ghost". The unwanted legacy of its fame as the most haunted place in England. And yet, is that fame justified? As we shall see in the next part of this article, it certainly is.